With the ongoing development of the industrial network communication, I/O components steadily gain in importance. Nowadays, sensors and actors can be interconnected with the different Industrial Ethernet variants and thus ensure a continous communication within a plant. Port offers you the complete spectrum of Industrial Ethernet I/O components as an engineering service. We care for our customer starting with the product planning, develope the product and supervise the certification, documentation and as requested also the production. 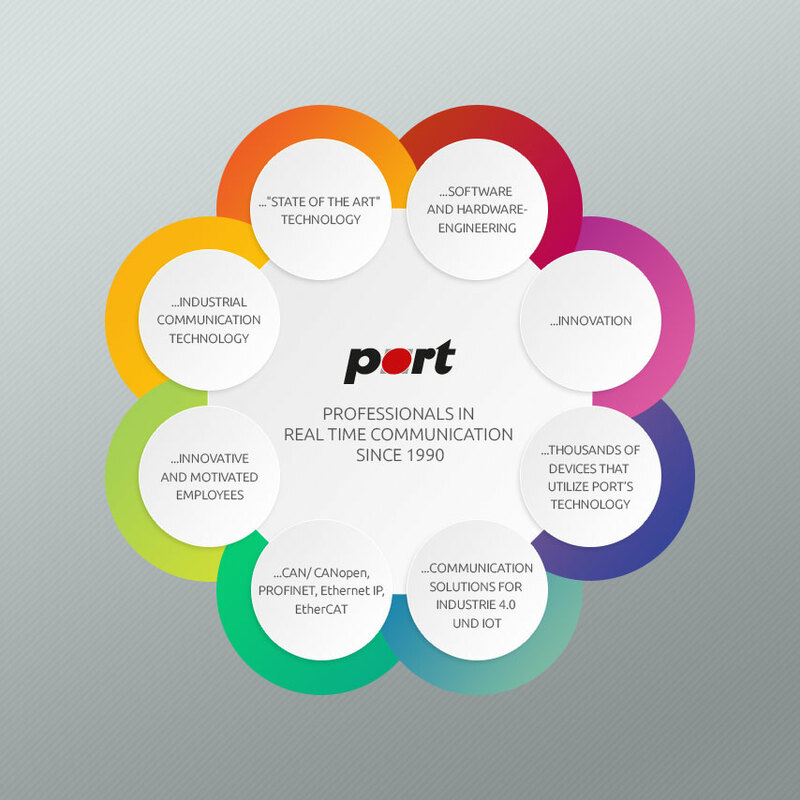 Gaining more than 15 years experience in Industrial communication, port is an active member of the known Industrial Ethernet groups such as PNO, ODVA, EPSG and ETG and also a leading insider of the CAN in Automtion (CiA). At home in the world of industrial communications, we integrate all common Industrial Ethernet protocols as well as CANopen into your product and develope based on your requirements a tailored hard and software solution. We team up with long-time professional partners such as accredited test laboratories, documentation experts and production professionals for industrial electronics to ensure the success of the customer project. Whether modular or static, whether IP 20 or IP 67: We make your product a success! For more information contact us via e-mail service@port.de or via phone +49 345 777 55 0.